The paleontologists have named the critter Sollasina Cthulhu, inspired by HP Lovecraft’s fictional cosmic entity. Paleontologists have stumbled on a 430 million-year-old fossil belonging to the sea cucumber family in Herefordshire, UK. They're calling it Sollasina Cthulhu, and there's a good reason for it, too. 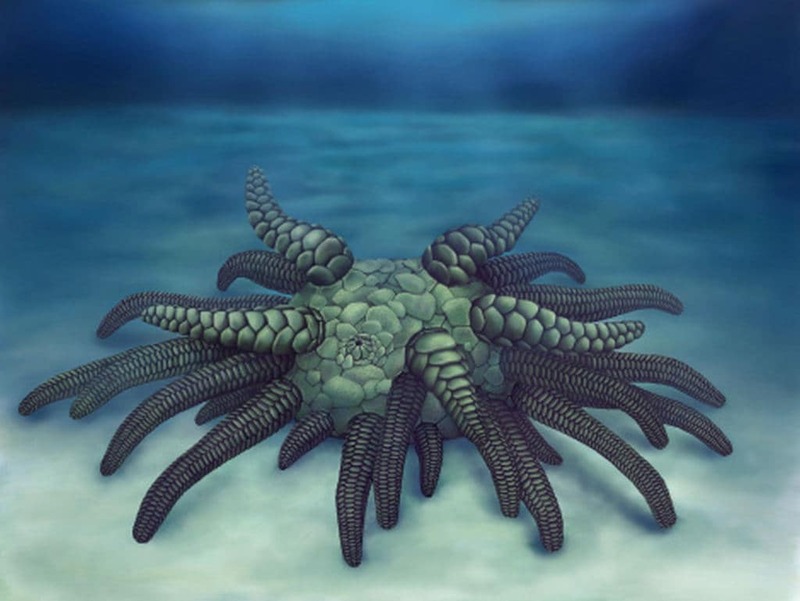 The name echoes the fossil's "strange"-ness, which the scientists could best associate with writer HP Lovecraft’s fictional cosmic entity Cthulhu. Sollasina Cthulhu's discovery was first announced in a study published in Proceedings of the Royal Society B on 10 April. Paleontologists give insight on how the fossil can help understand the early evolution of sea cucumbers in the study. The fossil was about the size of a large spider — tiny, really — and had 45 tentacle-like tube feet, a press released by Yale University said. The creature may not have been as big as Lovecraft’s creepy tentacle-clad monster, but other sea creatures might have kept their distance the many years ago it lived, Forbes reported. While the creature itself was tiny, its many tentacles might have made given it a big, monstrous look, another release by the University of Oxford said. The same report finds that Sollasina and its relatives are the most closely related to modern sea cucumbers, instead of sea urchins, indicating a different evolutionary markup. The fossil wasn't a picnic to study. The rock it fossilized in had the same chemical composition as the fossil and modern imaging techniques like CT scanning simply didn't do the trick. It had to be studied in a delicate yet painstaking process of grinding away the fossil — millimetres at a time — while snapping photographs every step of the way. These photos were used to reconstruct a model of the fossil in 3D, which opened the doors to a sea of similarities between the Cthulhu and its modern cousins. "Our study demonstrates this was a story of loss, with fossil sea cucumbers becoming progressively less armoured as they evolved into modern forms," Imran Rahman, an Oxford research fellow, writes in the blog. Sea cucumbers have lost more than just their armour over the millennia. Modern sea cucumbers are also toothless animals, which is something the researchers hope to explain in their future research.